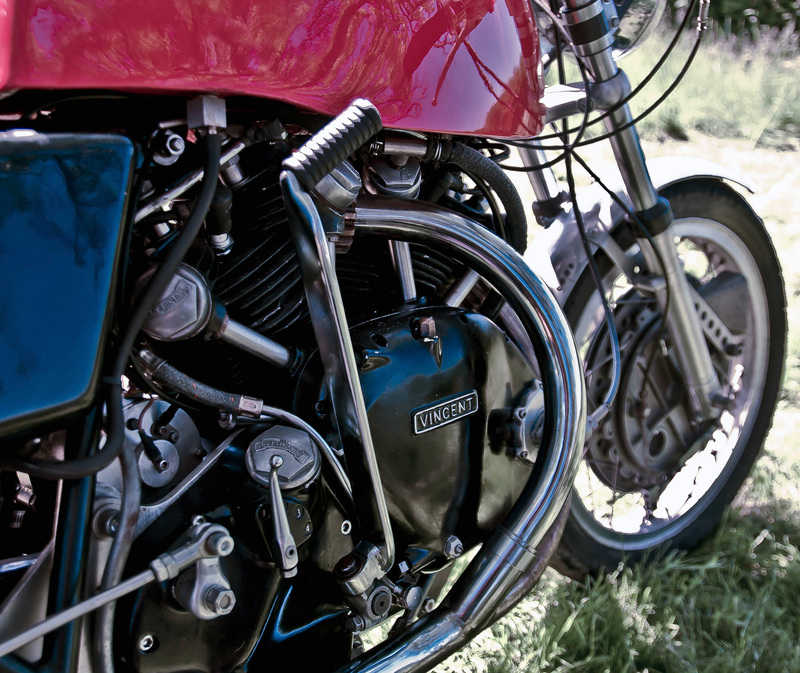 The questions of compatibility of the kick-start with the rear set on the Vincent often pops up. There are several solutions that apply to the case and which are presented here. Article written in collaboration with Vincent specialist David Dunfey. 1. The classic solution is to use a left-hand kick similarly to the road Black Lightning which had read sets and straight pipes that created similar issues, or also used with the right-hand sidecars for export countries. 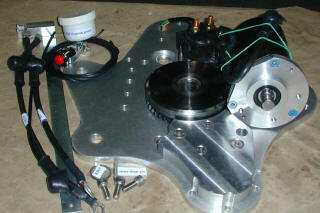 Parts numbers are G76/1 (kick-start) and G83/1 AS (quadrant). 2. 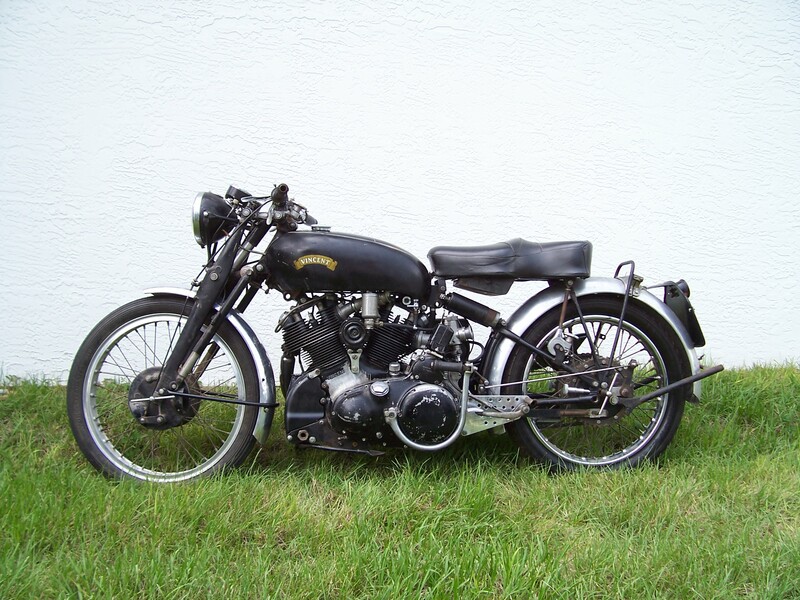 The Comet solution: recognizing that the single and twin kick-start have the same spline, and that the Burman gearbox was used on multiple motorcycles, there are a few folding kick-start available from the market. However, those tend to be short and straight, so they probably are not the best choice for easy starting particularly for high-compression ratio engines of cafe racers, but it worth to have a look. 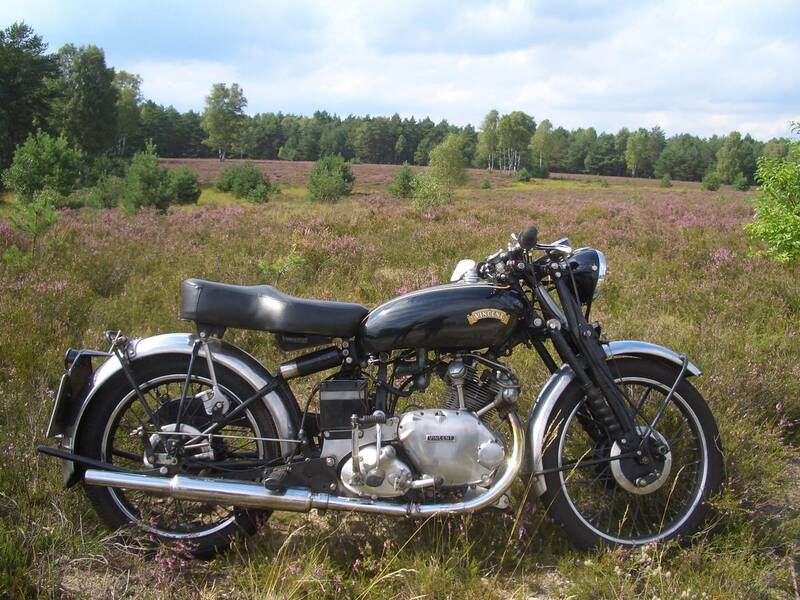 The Comet uses a Burman gearbox which was fitted on multiple British motorcycles. Numerous folding kick start were available but those are designed for singles (so short). 3. Modified quadrant: Coventry Spares Ltd. (email johntioc@aol.com) propose a splined shaft that is 1/4” longer than stock (G83MOD). It might be enough to clearing the exhaust pipe with or without the kick-start choices mentioned in paragraph 2. Three of them propose solutions similar to the photo below. 5. Electric start: alternatively electric start is now a reliable solution to your problem. It provides numerous benefits particularly to crank quickly when you stall your engine at a traffic light or simply when you get older! The electric starter is more and more accepted and seen on the Vincent.